When we recorded the following podcast, or rather the bulk of it, we were avoiding work, sitting in front of a computer, several feet any roommate, in homes we rented, in North Carolina, avoiding work by talking about farms earned by the labor of our hands only… on a computer keyboard. FarmSims are amongst the most popular of all video games on the market today — or at least they are when people thing to count them. It’s not about killing people. It’s not about punching people. It’s not about racing or playing a sport. It’s just about the soothing activity of building your own farm. Is it even a game? 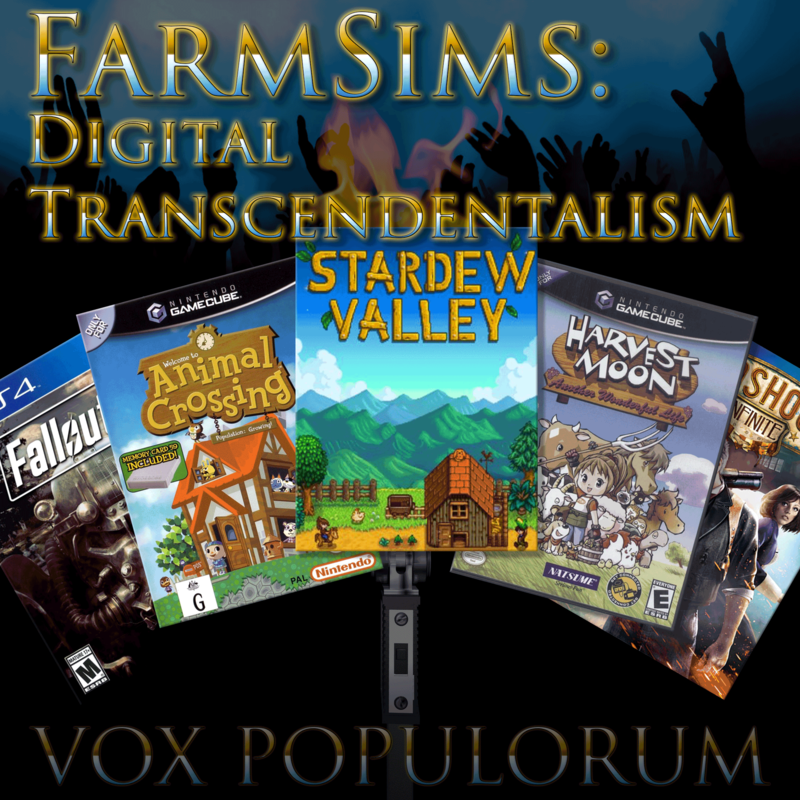 Katya and Hannah are joined by David Stifler and Chris Huebner to discuss the nature of FarmSims, why they are popular, why they are relaxing, how the connect to other video games and what they say about our society where this is even a thing. Next PostNext Call For Comments: But Baby is it really cold outside? Is it really?